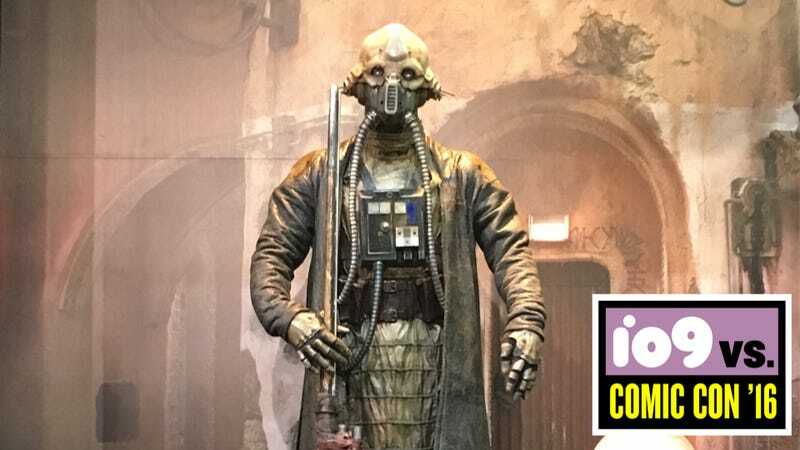 Edrio here is currently hanging out at the Star Wars booth at Comic-Con if you’d like to introduce himself. He may look a bit sinister, but he’s no friend of the Empire—but he is a friend of Saw Guerra, Forest Whitaker’s character. More details after the jump! Yar Togna is a new planet to the Star Wars universe, in case you were wondering.